A SEMA approved inspector is anyone who has received an approved inspector qualification from SEMA. In HSE’s eyes, SEMA approved inspectors are racking safety experts. HSA in Ireland also references the same HSE guide which labels SEMA approved inspectors as racking safety experts in its guide to warehouse safety. As such, there are many things that SEMA approved inspectors, as racking safety experts, can do in the UK and Ireland. First and foremost, the most important service that a SEMA approved inspector can provide is a SEMA approved racking inspection. HSE recommends SEMA approved racking inspections at least once a year and, as previously mentioned, HSA Ireland references this HSE guide in its advice on warehouse safety. Both countries are also, as of 2017, subject to EU law, which also recommends annual inspections from an outside expert at least once a year. SEMA approved inspectors definitely qualify as experts. Alongside annual inspections from an outside expert, the EU also recommends regular inspections from a technically competent staff member. This same sort of recommendation is echoed in Canada and Australia, too. Precisely how you can make sure your staff are competent enough to inspect your racking on a regular basis is left up to the employer. In the UK, the CDM Regulations spell out that this decision is entirely the “client’s” (the employer, warehouse owner, or racking system user). SEMA approved inspectors can offer a vital service here. By providing staff with racking inspection training, you can be confident that they are technically competent enough to perform this sort of regular racking inspection. 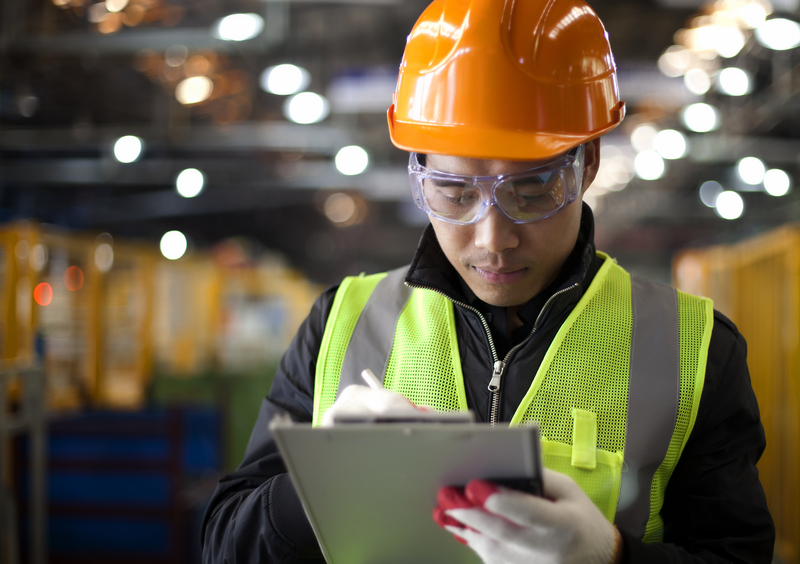 For your staff to perform these inspections, they will need some sort of checklist alongside their training to make sure that they don’t miss anything out in their inspections. At Storage Equipment Experts, we offer racking inspection checklists for FREE! You can download them from our website for no charge whatsoever. Our guide was written by a SEMA approved inspector, so that’s one more important service which SEMA approved inspectors are able to provide. This blog is a kind of free service, too. Written by a SEMA approved inspector, the Storage Equipment Experts blog features free advice on warehouse safety in general and racking inspection safety specifically. From a business perspective, there are many benefits of blog writing. However, we also write this blog because we are proud to provide a racking safety resource to anyone on the internet who might need it. Being a SEMA approved inspector is seen as a mark of safety expertise the world over. That’s why there are safety inspectors in Poland, the UAE and even Singapore. The title is not easily earned and the ability to know a safe racking system from an unsafe one requires immense attention to detail. SEMA approved inspectors are able to teach this skill to an extent but, because of the multitude of factors involved, SEMA approved inspectors are also willing to travel to sites all over to make sure that a racking inspection is done right. At Storage Equipment Experts, we are willing to inspect any business in the UK or Ireland. We are one of the few businesses in the UK or Ireland which offers this level of coverage and we are proud to do it in the name of safety. For a racking inspection or racking inspection training anywhere in the UK or Ireland from a SEMA approved inspector, contact Storage Equipment Experts today!